HUGE play alert! 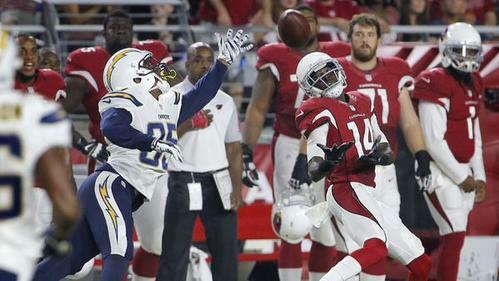 #AZCardinals rookie WR @_ThaJizzleMan and Carson Palmer hook up for a 57 gain. Speeeeeeed! 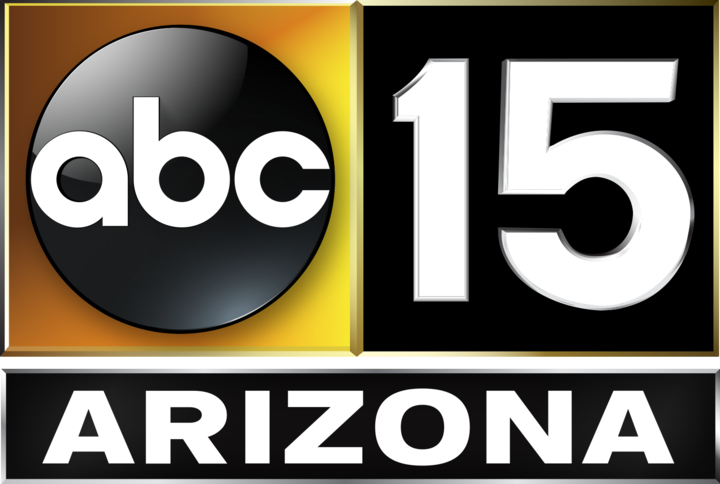 Palmer to John "Smokey" Brown for a first down. Get used to it. #AZCardinals on the move deep in #Chargers territory. Welcome back to Arizona, Carson Palmer! 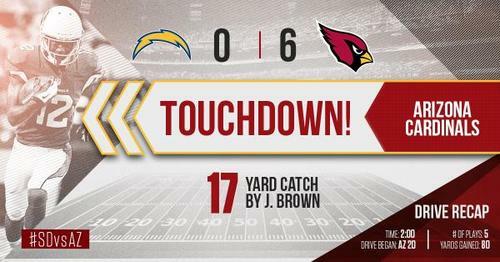 @AZCardinals QB throws 17-yard TD to John Brown. Arizona leads San Diego, 6-0. 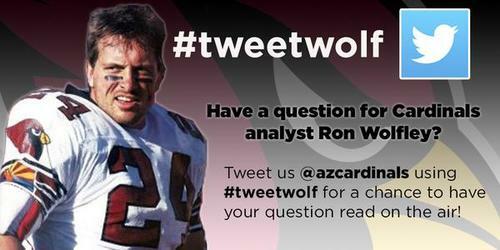 The #AZCardinals botch the exchange on the PAT. DE Calais Campbell down for a second, but walking off to sidelines. Can't afford for him to get hurt. Campbell walks off. Looks OK. The #Chargers call a timeout on 3rd and 16. That would be the #RedSea factor. 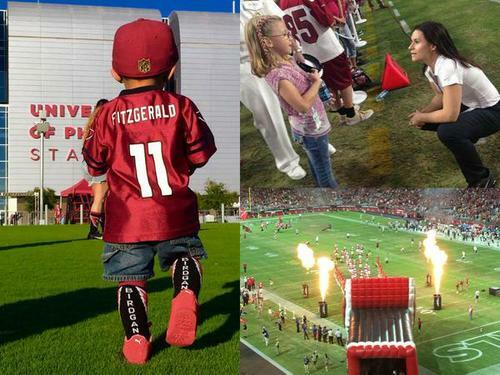 Watch @Campbell93 bring the energy to the #AZCardinals huddle! Campbell back out there. He's fine. 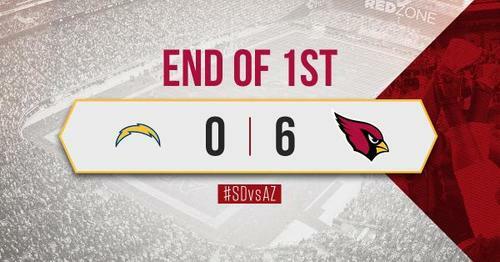 After #Chargers punt, the #AZCardinals take over on their own 23. I can't get over that long bomb to Nelson. I thought Palmer overthrew it initially, and Nelson actually had to slow down for it. So fast. 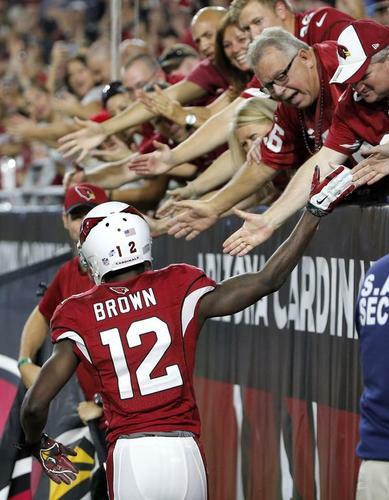 #AZCardinals @Jwalk_back12 shows love to the #BirdGang after his TD! Three and out for the #AZCardinals . After punt, the #Chargers take over on their own 27. So far- Carson Palmer very sharp. Main issues are drops and receivers running wrong routes- plus he's been sacked twice-but still standing! Boy, @_ThaJizzleMan will make you hold your breath on punt returns. 18 yard punt return for the rookie. #AZCardinals QB @drewstanton into the game with the starters. #AZCardinals RB @dajohnson7 = Body Dragger. 14yd run. Larry! Larry! Larry! @LarryFitzgerald mover the chains for the #AZCardinals to the #Chargers 30. First down! Palmer hits @_thajizzleman for a 57 yard gain! #AZCardinals RB @RobertHughesND plows forward for a first down to the #Chargers 13. RECAP: Here's how we ended up at 9-0. False start #Chargers . Thank you #RedSea . There's that Markus Golden motor. Rushed the passer, then came back to make tackle of WR.